Dave J pointed out these very useful end caps. They are from Marley and have an O ring seal. Several sizes. Cheap at about £1. Lots of uses, I think. 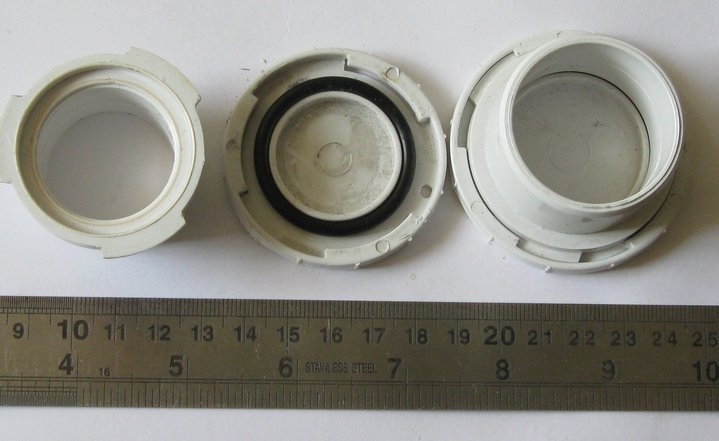 Small WTC end caps. Covers for switches. Also a Pinger enclosure. Just posting a photo s o that you know what to look for.